Mueller secured a key witness and also sent a message to other witnesses. The first Trump campaign and White House aide to plead guilty to a crime in special counsel Robert Mueller's investigation into Russian influence operations targeting the 2016 presidential election was a decorated retired military intelligence officer, Army Lt. Gen. Michael Flynn, who the president had insisted serve again as his White House national security adviser. In prosecuting Flynn for lying to FBI agents, a felony, about his discussions with a top Russian diplomat prior to Trump being sworn in as the 45th U.S. president, Mueller not only secured a key witness but he also sent a message to other witnesses in the probe to cooperate fully – though several more Trump campaign aides later admitted to lying to the FBI anyway. (Chip Somodevilla/Getty Images) Former White House National Security Advisor Michael Flynn leaves the Prettyman Federal Courthouse following a sentencing hearing in U.S. District Court, Dec. 18, 2018 in Washington. The Accused: Flynn was a heralded intelligence innovator whose star rose after the 9/11 attacks as the U.S. battled Islamic militants in Afghanistan and Iraq. But in 2014, then-President Obama dismissed Flynn as director of the Defense Intelligence Agency over management disagreements, and in retirement he immediately began criticizing Obama publicly in a rare move by a retired general officer. The career soldier met and was befriended by Trump during the 2016 campaign's early days and at the Republican nominating convention he was given a prime speaking spot where he famously led chants about Trump campaign opponent Hillary Clinton to "Lock her up" over alleged crimes including mishandling classified information in emails to her private home server while secretary of state. After winning the election, President-Elect Trump tapped Flynn to serve on his transition team – where, at the urging of other Trump aides, he began texting with and taking calls from Russia's ambassador in Washington, Sergei Kislyak, about Obama sanctions targeting Russia – before assuming his White House position as national security adviser to the president. The Admitted Offense: In his dramatic and surprise guilty plea in U.S. District Court on Dec. 1, 2017, early in Mueller's investigation, Flynn acknowledged that his false statements and omissions in FBI interviews a few days after Trump was sworn in "impeded and otherwise had a material impact on the FBI’s ongoing investigation into the existence of any links or coordination between individuals associated with the campaign and Russian efforts to interfere with the 2016 presidential election," which the statement of offense he agreed to said. He specifically admitted to lying about asking the Russian ambassador to refrain from responding to Obama administration sanctions against Russia for its election interference and further requested Russia help block a United Nations vote on Israeli settlements which the incoming administration didn't agree with. Flynn also agreed that he lied about his lobbying activities in federal filings related to work on behalf of the Republic of Turkey throughout the 2016 campaign. The Sentencing Gone Awry: Flynn has not, to date, explained why he lied about his dealings with Russia or Turkey. His confidants said he was expected to make a statement to the court explaining his actions at his December 2018 sentencing hearing but he never got the chance. Following Mueller's recommendation that Flynn should serve no time in prison because of his "substantial" assistance in the Russia probe, though federal court guidelines for such offenses carry up to six months' incarceration, Flynn and his lawyers suggested in their own defense sentencing memo that he had been duped by FBI agents and didn't realize it was a formal interview -- as if under oath -- when they met with him inside the White House in January 2017. 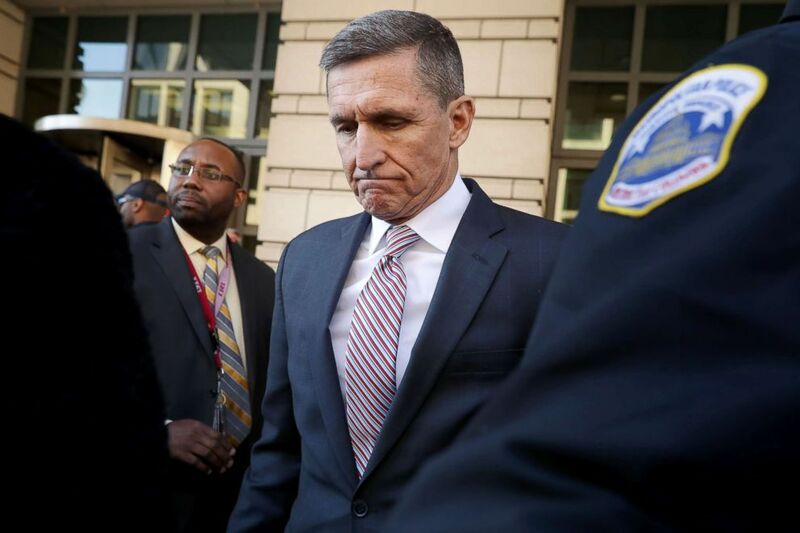 U.S. District Judge Emmet Sullivan appeared enraged by the insinuation by Flynn that he had been duped and told him that he was prepared to impose a tough sentence on a former senior official who knew better than to lie to the FBI. Flynn opted to postpone his sentencing so Sullivan could cool off and weigh his full cooperation with the government in multiple investigations, including in the prosecution of his former Turkey lobbying partner, Bijan Kian, in Virginia, in the decision whether to send the retired general officer to federal prison.